On trade: Long-term gain or long-term pain? The Trump administration says its policy of confrontation with trading partners, such as the trade war with China and tariffs on steel and aluminum imports from Canada and Mexico, will lead to more advantageous relations for the United States. But Bill Reinsch, of the think tank Center for Strategic and International Relations, says the promise of “short-term pain, long-term gain” is unlikely to come true. Hemp, delayed not dead, in South Dakota (Capital-Journal): Gov. Kristi Noem, whose veto of an industrial hemp bill withstood an override attempt, says the crop has been postponed until the USDA issues regulations for the newly legalized product. Des Moines water chief has cancer (Perry News): Bill Stowe, general manager of the Des Moines Water Works during a lawsuit blaming farm counties upstream for high nitrate levels in river water, said he has “an aggressive form of cancer” but will continue work at the utility. Less than a price of a house in Maine (AP): The cod catch by Maine’s commercial fishing fleet was worth $200,000 at the dock last year, the smallest total in half a century and less than the median price of a single-family home in the state. Meatpackers face dearth of workers (Harvest Public Media): Low unemployment rates and the Trump administration’s policies on refugees are making it hard for meatpackers to find enough workers. Rural v. urban vote gap narrows (Daily Yonder): Despite the common narrative of a urban/rural split, Democrats made a comeback in rural areas in the 2018 elections, according to an analysis of voting in congressional and presidential elections since 2006. Corn ethanol reaches a plateau (DOE): Fuel ethanol production, 1.05 million barrels a day in 2018, is forecast to decrease slightly this year, to 1.04 million barrels, and return to 1.05 million barrels in 2020. – Agriculture Secretary Sonny Perdue speaks at National Grain and Feed Association annual convention, 9 a.m. ET, Amelia Island, Florida. The convention continues through Tuesday. – Agri-Pulse hosts Ag and Food Policy Summit with speakers that include Agriculture Undersecretary Greg Ibach, vice president Eric Schulze of Memphis Meats, and Jim Mulhern, president of National Milk Producers Federation, 8 a.m. ET, National Press Club. – Animal AgTech Innovation Summit, part of Rethink Agri-Food Innovation Week, San Francisco. – Second annual Global Recycling Day, “a movement dedicated to celebrating the importance of recycling and to making the world think resource, not waste. – Brazilian President Jair Bolsonaro meets President Trump at the White House to discuss “how to build a more prosperous, secure and democratic Western Hemisphere,” according to the White House. The agenda includes “pro-growth trade policies.” Trump and Bolsonaro are scheduled to hold a joint news conference at 1:45 p.m. ET. 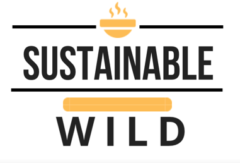 – Gary Hirschberg, co-founder of Stonyfield Farm, and Kathleen Kerrigan, executive director of the Swette Center for Sustainable Food Systems, discuss”the future of food,” 4 p.m. ET, ASU Barrett and O’Connor Center, Washington. – Rethink Events holds World Agri-Tech Innovation Summit, through Wednesday, San Francisco. – First day of spring in the northern hemisphere, marked this year by a “super moon” that will appear to be slightly larger than other full moons. – Chicago Council on Global Affairs hosts Global Food Security Symposium 2019, “From scarcity to security: Managing water for a nutritious future,” through Thursday, Washington. – No Kid Hungry holds Rural Child Hunger Summit “to identify and elevate successful strategies to reduce the burden of child hunger in rural communities, through Friday, Louisville, Kentucky. – Rethink Events hosts Future Food-Tech, which it describes as a gathering of food business leaders, investors and food-tech innovators, through Friday, San Francisco. – USDA releases monthly Food Price Outlook, 9 a.m. ET. Food prices are forecast to rise 2 percent this year, slightly slower than USDA’s 20-year average of 2.3 percent. – USDA releases monthly Cattle on Feed and Cold Storage reports, 3 p.m. ET.